Welcome to the June edition of our Member News! In this edition, we have a special blog from very our VP of Programs, Edward Jones. The inspiration for Edward's blog comes from a recent trip made to Puerto Rico, where we (along with our CHANGE Philanthropy colleagues) witnessed first hand the critical challenges the people of Puerto Rico still face post-Maria. 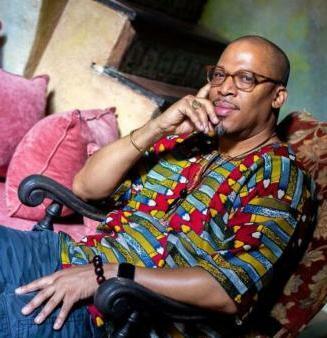 ABFE will continue to expand its work and raise awareness of Afro-Latino communities in Puerto Rico, as well as Black communities in the U.S. Virgin Islands. We are gearing up for some exciting announcements that we'll be sharing in the coming months. Here's a sneak peek of what's to come: ABFE's 2019 annual conference "Save The Date," Black Philanthropy Month in August, the new cohorts selected for our 2018-2019 Connecting Leaders Fellowship Program and more! On a final note, our President and CEO Susan Taylor Batten began a sabbatical this month and will be returning in September. In her absence, CFO Janet Gumbs will act as interim President and CEO and lead the day-to-day operations of ABFE. We wish Susan some well-deserved R&R during her time away! Did you attend our 2018 annual conference, "The Fierce Urgency of Now," in Memphis, TN? If so, we need your help! 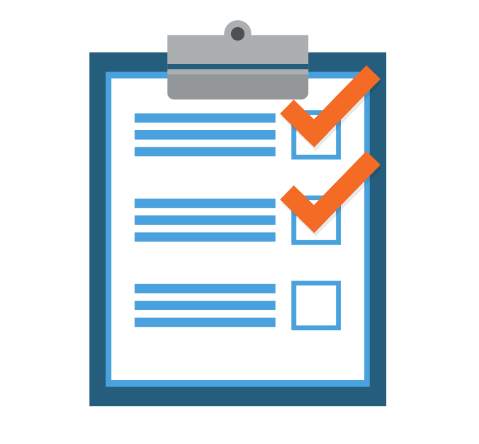 Please help us reach 100% participation on our conference survey so that we can ensure next year's conference is more informative and impactful! We are also offering one lucky survey taker a chance to win a $25 Amazon.com gift certificate. Deadline to complete survey is by Monday, July 2, 2018. The winner will be notified by Friday, July 13, 2018. 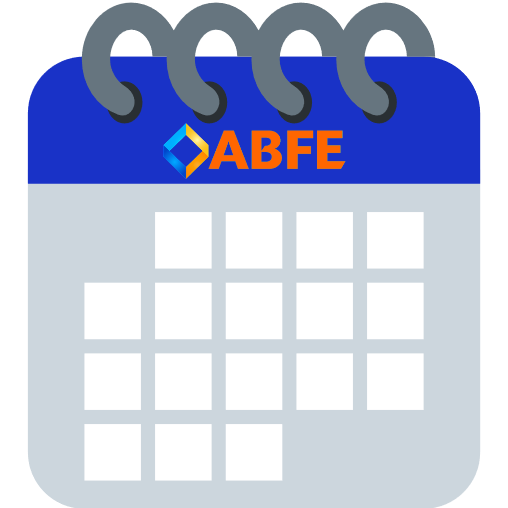 What's Coming Up at ABFE? Entering its eight year of observance, Black Philanthropy Month (BPM 2018) is an unprecedented campaign during August to strengthen African–descent giving in all its forms. ABFE will be celebrating the 5th anniversary of its Women in Philanthropy (WIP) Retreat, a leadership convening for women of African descent who are leading in the field of philanthropy. ABFE will host its second annual Leverage The Trust Retreat this September. The invitation-only retreat offers a space for Black Trustees to reflect, focus, strategize and commit to the role of what it means for Black Trustees in making philanthropy more responsive to Black communities. *For sponsorship information, please contact Seitu Jemel Hart, vice president of membership and external affairs for ABFE, at sjhart@abfe.org . 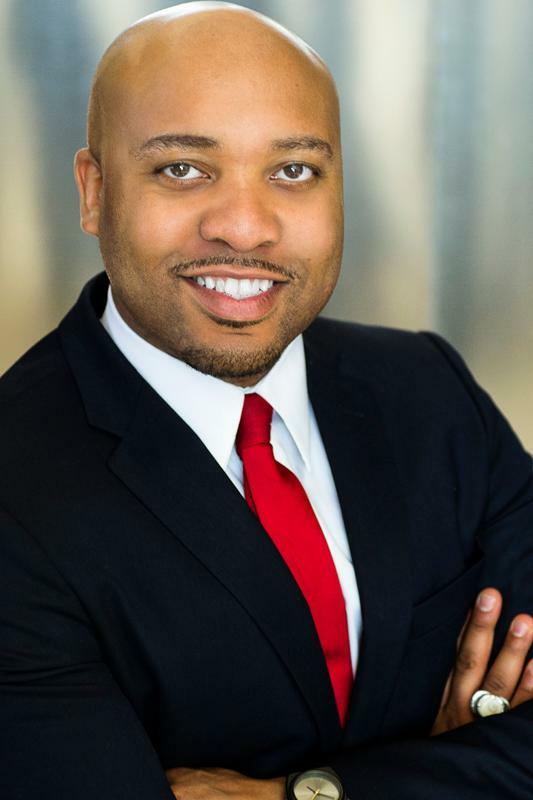 This month's special blog comes from ABFE's Vice President of Programs, Edward Jones. In this eye-opening piece, Edward recounts his recent travel to Puerto Rico and what various communities and organizations are doing to get back on track post-Maria. A recent article featured in Chronicle of Philanthropy also highlights some of the challenges in PR, post-Maria. 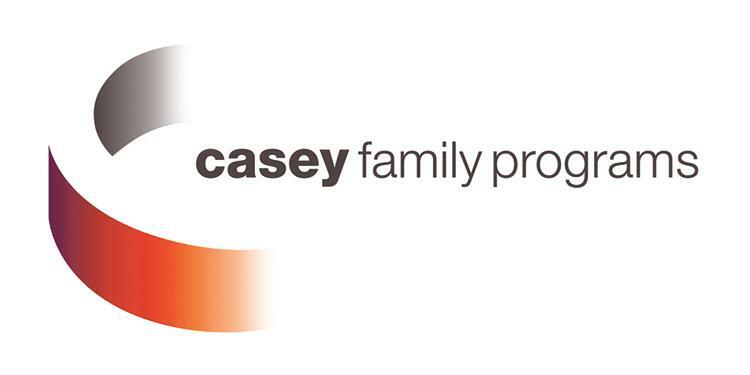 This month's featured ABFE Philanthropic Institutional Member is Casey Family Programs . Led by President and CEO Dr. William C. Bell, Casey Family Programs is the nation’s largest operating foundation focused on safely reducing the need for foster care and building Communities of Hope for children and families across America. Their mission is to provide and improve—and ultimately prevent the need for—foster care. For more information on Casey Family Programs, visit Casey.org . 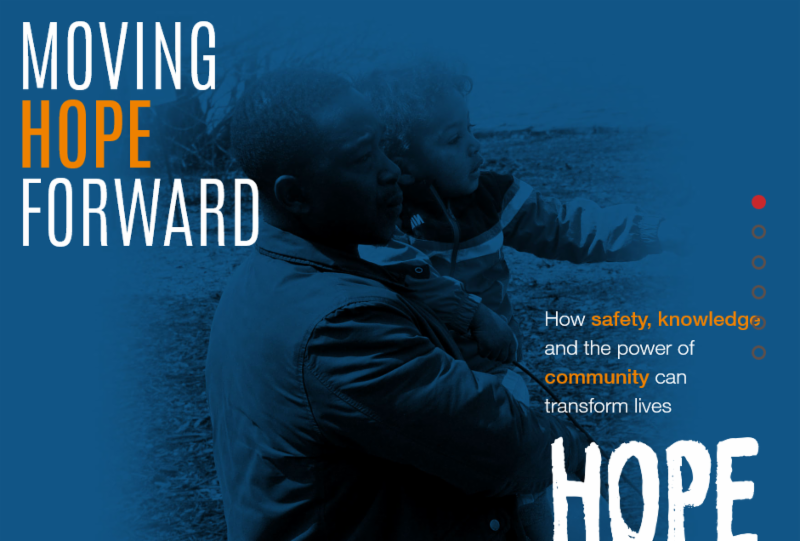 Moving Hope Forward, Casey Family Programs' 2018 Signature Report. Charitable giving surged to a record high in 2017 as Americans gave more than $400 billion for the first time ever to a wide variety of organizations, according to a new report released Tuesday. Giving jumped 5.2% from last year to an estimated $410.02 billion in 2017, according to Giving USA 2018, the Giving USA Foundation’s annual report on philanthropy. The report cited a robust stock market and a strong economy as major factors in the rise of the amount of charitable giving. "Americans’ record-breaking charitable giving in 2017 demonstrates that even in divisive times our commitment to philanthropy is solid," said Aggie Sweeney, chair of the Giving USA Foundation, in a statement. "Contributions went up nearly across the board, signaling that Americans seem to be giving according to their beliefs and interests, which are diverse and wide-ranging." The report, researched and written by the Indiana University Lilly Family School of Philanthropy, found that giving from all sources grew in 2017. Three of the four sources posted gains of more than 5%: Giving by corporations increased 8%, foundations 6% and individuals 5%. Enhancing workforce diversity is not a job for business alone, a report from the Ray Marshall Center at the University of Texas, Austin argues. Funded by the Annie E. Casey Foundation, the report, Partnering for Equity (11 pages, PDF) highlights ways in which sector partnerships — regional coalitions of employers and their partners working to develop and implement solutions to workforce challenges — can help businesses close persistent racial disparities and achieve greater equity in the workplace. The Bill and Melinda Gates Foundation's new investment of nearly $160 million to fight U.S. poverty, while needed and welcomed, will be deployed alongside millions more philanthropic dollars granted for the same purpose, without any measurable impact on rising poverty rates across the country. U.S. foundations gave an estimated $60 billion in 2016, and not one of them can tell you which problem they solved. Each can easily describe a litany of ills requiring their financial intervention but none can describe the innovation that would make them irrelevant. That is unfortunate but fixable. I've worked in philanthropy for 20 years, managing grant relationships with hundreds of organizations nationwide. I help direct a small piece of that $60 billion in a quest to lift families out of poverty, increase educational attainment and fuel economic mobility, which can remain painfully stagnant for generations without intervention. I can't tell you which problems I have helped solve, either. Things have gotten better with new policies positively influencing issues we fund. And stories abound about communities that are significantly different. But I can't give you one example where a problem that plagues the communities concerning me most has been solved. 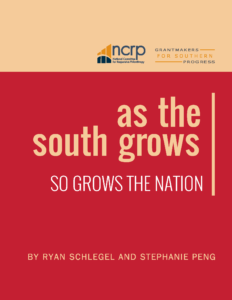 NCRP’s newest report, As the South Grows: So Grows the Nation , synthesizes important lessons from countless Southern leaders to answer the questions: Why do local and national funders need to give more in the South? 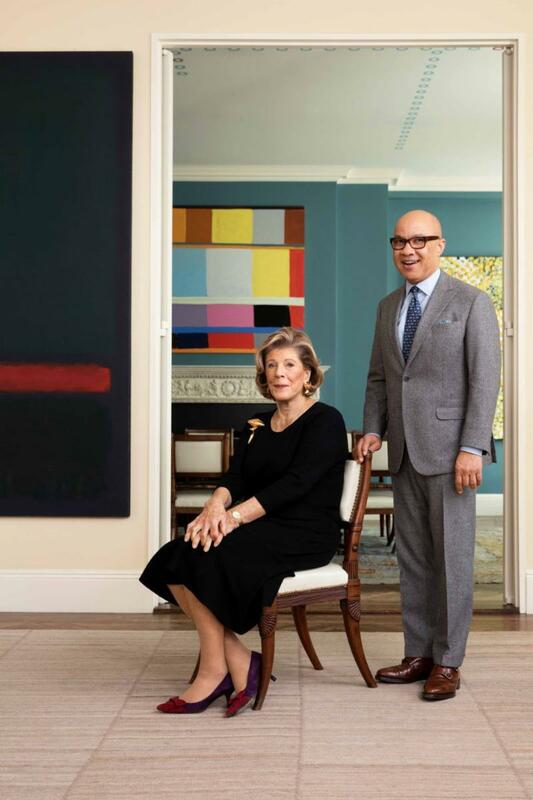 What does high-impact philanthropy in the South look like? 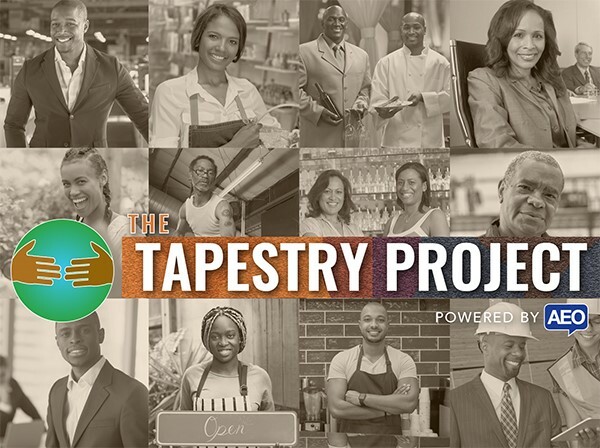 Association for Enterprise Opportunity (AEO) will launch its Tapestry Project Request for Application (RFA) on July 17, 2018.